M'sians Already Allow Strangers Into Their Home For Airbnb, So How About The Kitchen? TC Gwi grew up in a Peranakan household filled with delicious homecooked meals, and even took part in cooking some of them himself, making food from all sorts of cultures. But the true catalyst for his startup came when, with the rigors and pulls of city life, TC felt that being able to indulge in home-cooking increasingly was like a luxury. 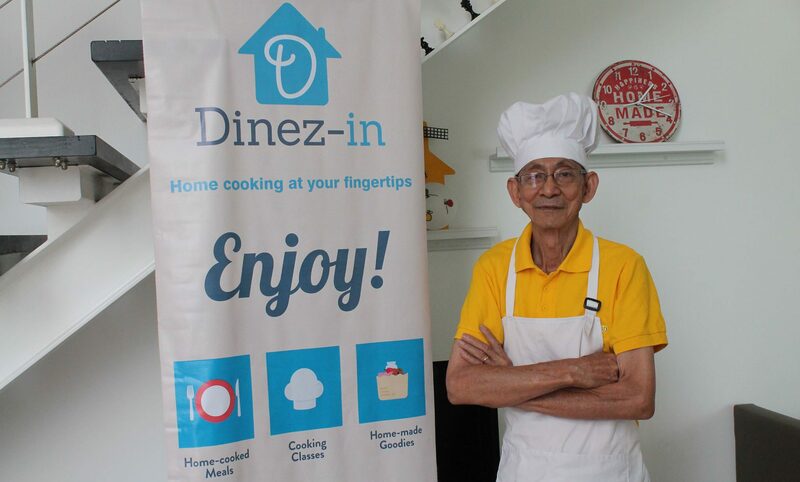 With app versions of their business coming up soon, Dinez-in invites home chefs to open their kitchen doors to share their homecooked meals to diners—all while making some cash. 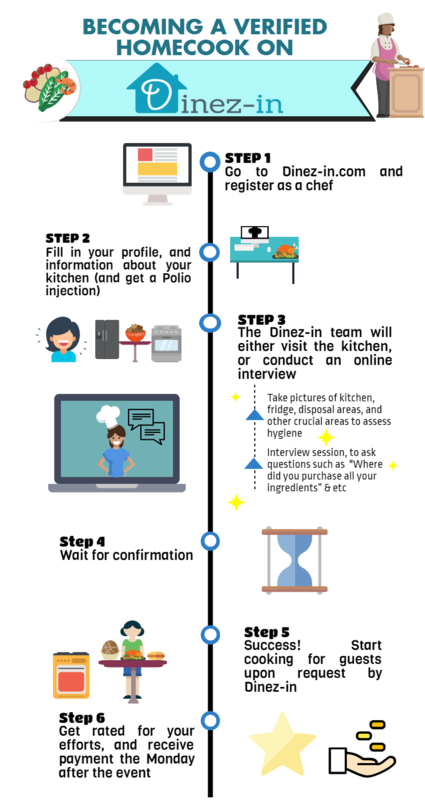 Dinez-in serves as the connecting channel between diners who miss the taste of mom’s homecooked meals to home chefs looking to turn their cooking into a money making opportunity. More than just catering food or delivering orders, Dinez-in even invites diners to join the chefs in their homes to dine together. It’s a concept that has worked overseas before, but Malaysians may look askance at opening up their kitchens and homes to complete strangers. However, the idea is not new to our shores. Plate Culture runs on a similar model, and has been around for quite a few years. “To our best knowledge, we are the first platform in Malaysia which offers end-to-end service solutions to home chefs, restaupreneurs, and café owners,” said TC. Naturally, some diners may be wary of spending their time in the house of a complete stranger and others would question the food standards. Aspiring home chefs might also wonder how the verification process goes. Cooks can choose to either join them full-time or cook part-time and are paid on a case-by-case basis. According to the Dinez-in team, they will be conducting recurring tests to ensure consistency, especially with continued hygiene. By the team’s own admission, most of their orders are coming in as takeaway or for event catering, but they are seeing a growing number of diners joining the Dine In sessions where they will join the cook for lunch and dinner. Dine In customers enjoying their meal. To protect all parties, diners are required to pay for the service though the website before they can receive their food, or even meet the home chef. Diner details are also recorded so that if any misconduct occurs, the Dinez-in team can take legal action. As for the homecooks, the system works like Airbnb where they are empowered to either accept or reject a dining offer in their home. The currently 7-strong team is working full-time to ensure smooth service operation between customer service and home cook management. On top of the 3 partnerships that they currently have, they are contacting potential clients and merchants to visit them. Dinez-in’s social media efforts mostly focus on their food, and rightly so. But every once in a while, home chef stories reminiscent of Humans of Kuala Lumpur pop up on their social media to give feature to the cooks humble life stories on top of their dishes (sometimes with recipes). “Every kitchen is a story,” said TC.